News on Neill Blomkamp's Alien 5 has remained at a standstill since the project was placed on hold whole 20th Century Fox and Ridley Scott pursue the release of their Prometheus sequel, Alien: Covenant. However, recently IGN caught up with actor Lance Henriksen, who played the role of Bishop in James Cameron's Aliens - arguably everyone's favorite Synthetic person from the series. During their time with Lance they broached the topic of Alien 5; how he felt about the project and if he knew how Bishop would be making a return alongside Ripley (Sigourney Weaver) and Hicks (Michael Biehn). Considering the plot of Alien 5 takes place after the events of Aliens, Bishop's inclusion would need to be prominent as well... At least we would hope so. You know they’re going to make another one. It picks up right where Aliens ended. I don’t know if I’m going to be in a baggie or how I’m going to be in it. Obviously with the focus of Alien 5 set to be on the iconic trio, Ripley, Hicks and Bishop, as well as the growth of Newt, it would be expected that Lance too, would be brought on to reprise his role once again. However, while the project remains on hold, it's likely additional cast will not be contacted about starting roles for a while. Do you hope Lance Henriksen reprises his role in Alien 5? Let us know in the comments section! 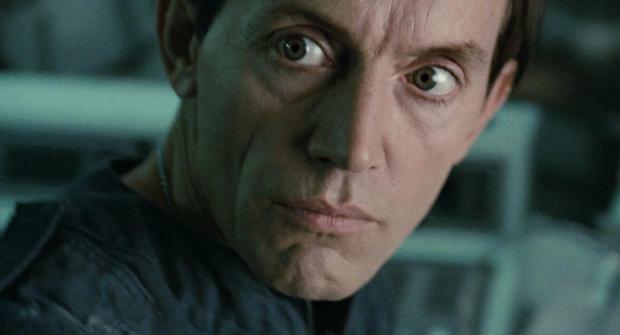 5 Fan responses to Lance Henriksen isn't sure how Bishop will be in Alien 5. It wouldn't be a proper reunion without Lance in the fold! The biggest issue they face with bringing him back however, is his dealing with his aged appearance and reconciling that with him playing an android that doesn't age. They could do a lot with makeup I imagine. Considering he was pretty badly damaged after his run in with the Queen, it's unlikely Ripley or Hicks would be able to reconstruct him the way he was. OK, Guys this has me confused. There is going to be another Alien Movie and Alien 5 is going to pick up where that one left off? Or, is he just stating that there will be another alien movie (Alien 5) and its picking up where Alien/Aliens or Alien:R left off at? Read below I bold an italicized the sentence. If Bishop appears in the state I suspect he will, Lance I think could certainly be able to resurrect his most famous character. I learned to not get my hopes up with this movie. Its been delayed so many times and seems like its more of a fan wish project then reality. It would be amazing if they actually did get this off the ground, but I don't think its going to happen unfortunately. I know Ridley Scott said that he was going to be involved as producer after Alien Covenant comes out, and that he respects what Neill Blomkamp has come up, with but I would be pleasantly surprised if all of this actually materializes. It kind seems like Scott was just being professional and nice about everything. If Alien Covenant is going to change the Alien Mythos like this site and people connected to the film have been saying, then Alien 5 is going to definitely be on hold until we find out what Scott decided to do in AC. I for one would love having Ripley, Hicks, Bishop, and Newt back. They really did drop the ball in Alien 3 when they killed them off before the opening credits were even done. As for the Age thing, I have seen how special effects can take decades off an actors face so I dont think that would be a factor if they wanted to pick up the story right where Aliens ended. The reverse aging technique has been used on American Horror Story, and more recently in Captain America Civil War when Robert Downey Jr was recreating that scene with his parents. I know that this would mean having 3 actors be digitalized to look younger, but I think FOX owes it to the fans and actors. As for the plot, it could go in many directions but I think having them either remain the same age (special effects) or picking up the story 30 years later is the big decision that Ridley and Neil have to make if this is really going to happen. It basically will dictate if this is going to be a passing of the torch movie where Ripley helps Newt become the xenomorphs biggest enemy or if they pick it up where everyone is still the same age when Aliens ended, then its going to be a totally different approach. I really don't know which version I like better. All I know is I hope Ripley gets the ending she deserves and this movie is light years better then Alien Resurrection. That movie was easily the weakest of the 4 Alien movies. We need to see xenomorphs and the 4 of our heros together again fighting to survive and strengthen their bond, as well as the Alien Mythos. I guess it all depends on AC and what that story is going to contain and how successful that movie ends up being. I really hope it is on the same level as Alien and Aliens. After years of disappointing Alien vs Predator movies, and the abomination that was Alien Resurrection, we all deserve a killer Alien movie. Whether Neil or Scott is gonna give it to us is up in the air. 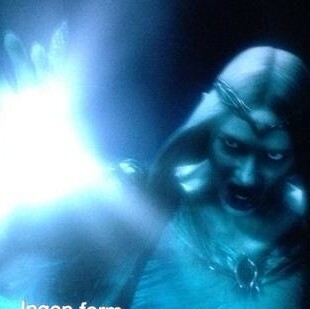 But Im betting on Ridley Scott to turn out something pretty cool with AC.